Welcome back! Can y’all believe it’s SEPTEMBER?! It’s already that time of year to start thinking about my Fall wardrobe. What items do I need to purge? What do I want to add to my closet? 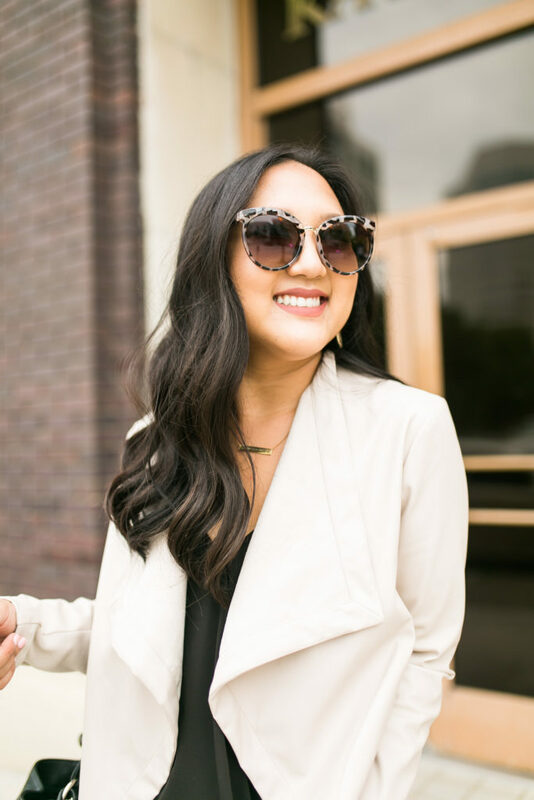 As you may know, I’ve been working on rebuilding my closet and collecting staple pieces that make getting dressed easier! 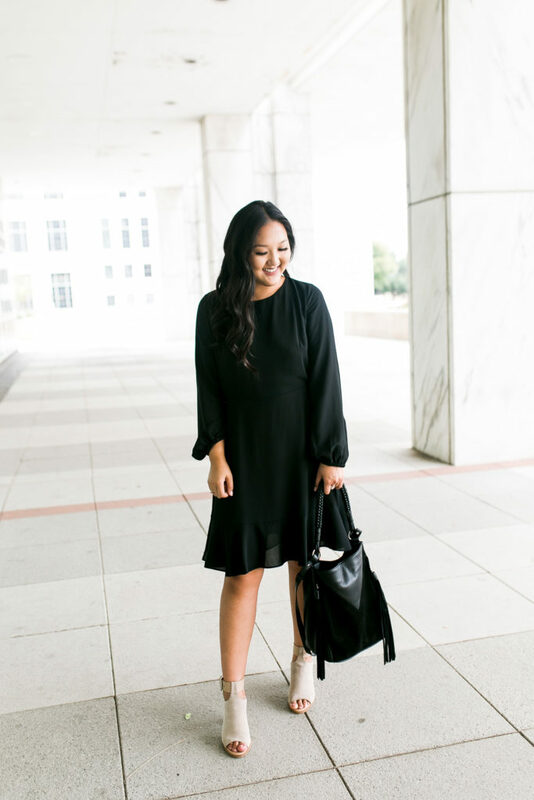 And what other staple piece is better than a little black dress?! Be sure to scroll through and find where I’ve linked TONS of options, all under $100! 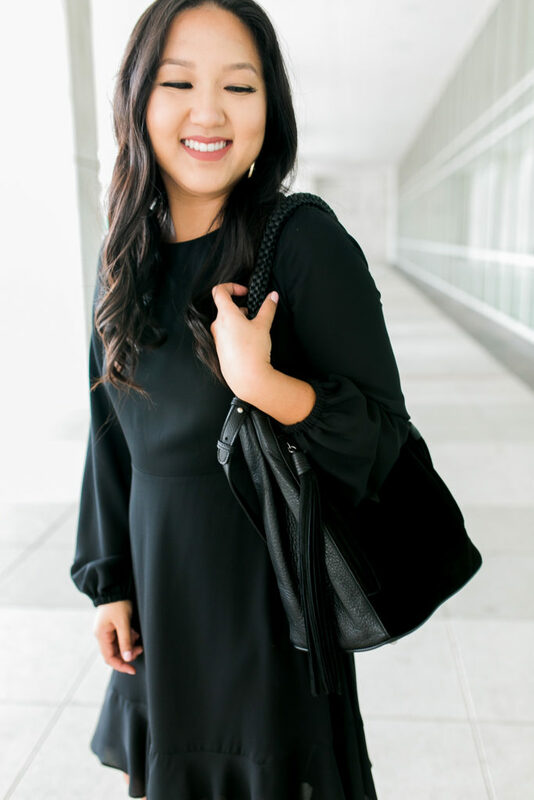 So this open-back LBD was one of my (many) purchases from this year’s Nordstrom Anniversary Sale. And lucky for you, after going back up to it’s normal retail price, it’s on sale again for 50% OFF until September 10 during Nordstrom’s Summer Sale! This dress would be great for a dinner date or a nice evening social event in the city! The natural, a-line waist plus the ruffle hem is very slimming and who doesn’t want that in a dress?! Also, this dress is only $54 right now! So pair it with a neutral colored pair of booties and this look is now a go-to look. I’m always okay with adding another black dress to my collection. 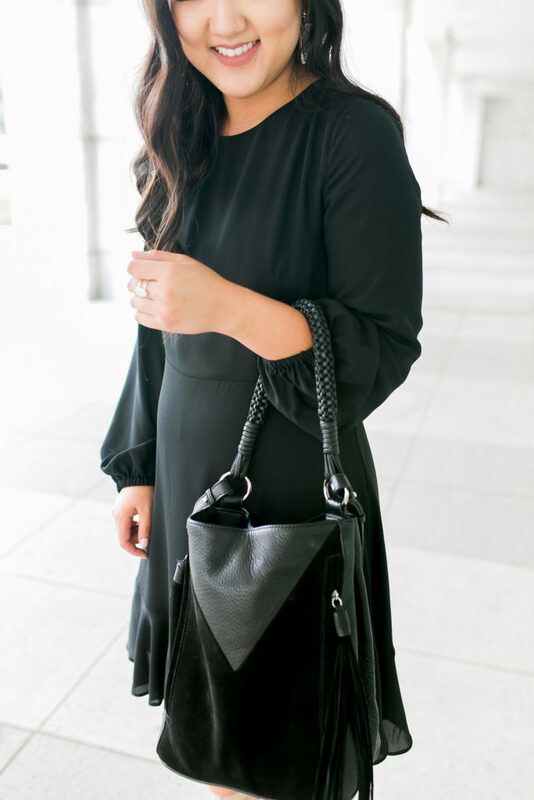 Then again, I do really like to wear a lot of black (as you can see in this post) but there’s just something about a LBD! Why is a little black dress such a known staple in a woman’s closet? Above all reasons, black will never go out of style. Whether it’s a black top or black jeans, the color ain’t going nowhere! 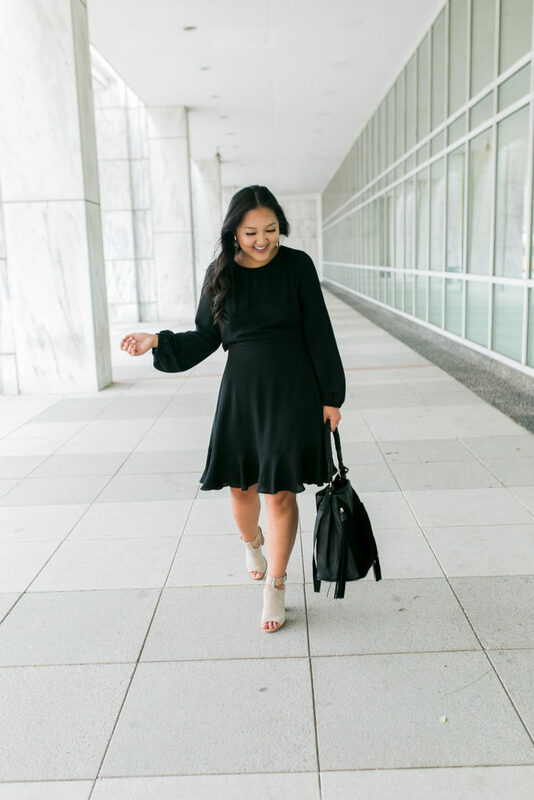 A LBD is an easy choice in the morning to pair with many different types of shoes and accessories during any season. 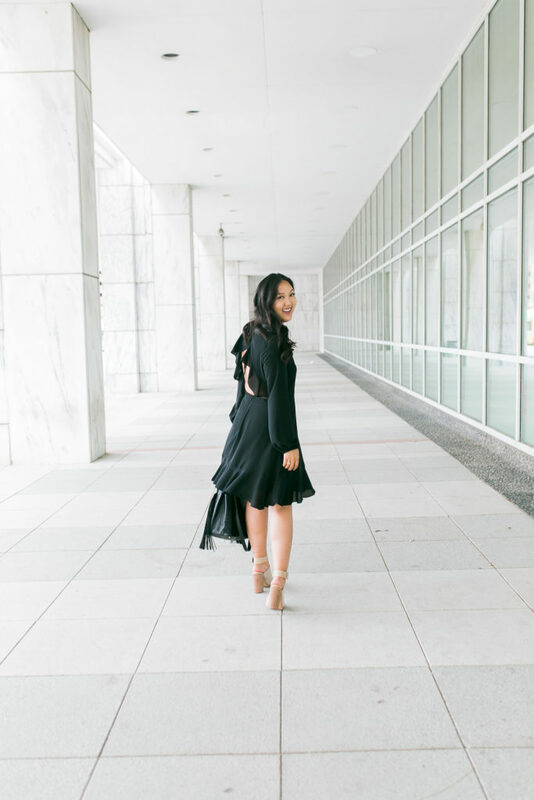 It’s all about versatility when rebuilding your closet and a little black dress is just that! 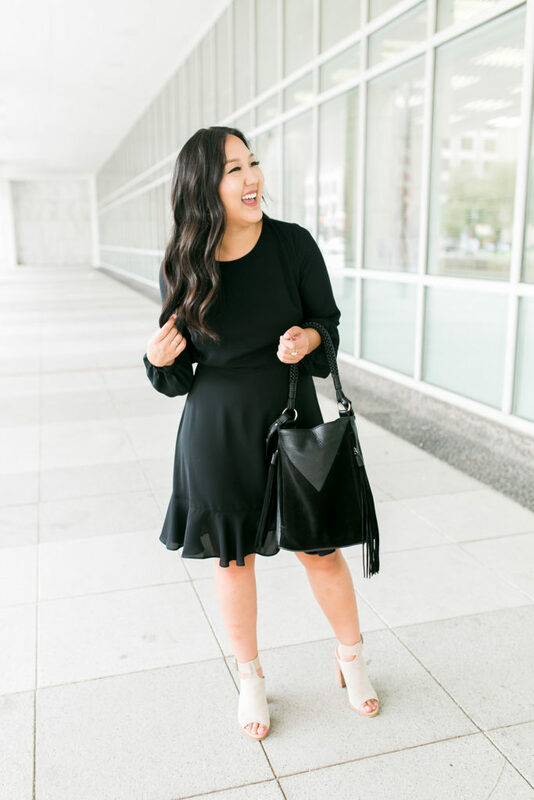 So I’ve linked many different styles of LBD’s for under $100 below. Let me know which ones are your favorites!